The backpacking quilt has become an increasingly popular option when it comes to camping. 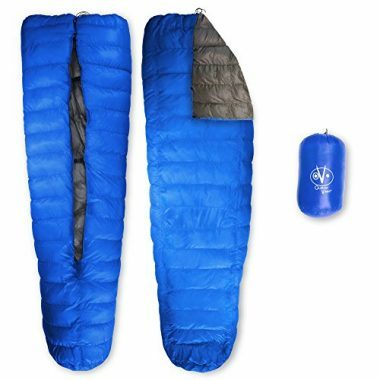 They are a lot lighter and more compressible than a traditional sleeping bag and able to still give you a great level of comfort, especially in warmer weather where you don’t need the same level of insulation. Choosing the best backpacking quilt involves making sure it’s right for your circumstances. 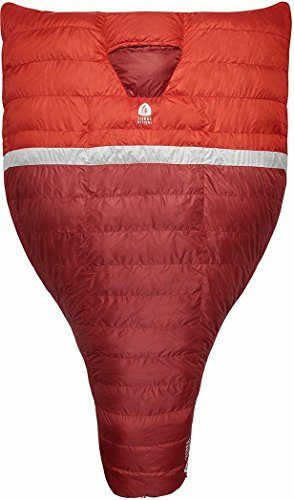 Thankfully we can help by explaining the key features and have completed backpacking quilt reviews to show you the best products on the market. Once you’ve read through this guide, you’ll be able to pick the best camping quilt for you. This is a top rated camping quilt as it gives you everything you need for a comfortable night of sleep. 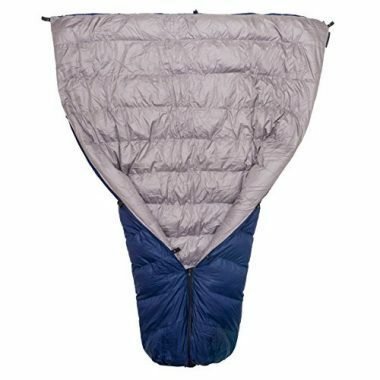 The down quilt will give you great insulation in order to keep you warm while being light, as it only weighs 2lbs 3oz. It is highly durable too with its ripstop nylon fabric and versatile too as it can fully zip up when you are cold or it can be vented on those warmer nights. Eagles Nest Outfitters have produced a great sleeping quilt which is going to be ideal for those warmer nights and also sleeping in a hammock. It is able to keep your body warmth trapped into the bag and is able to do that even with its incredibly compact size. The quilt weighs just 1lb 9oz which makes it one of the lightest products on the market. This is another light product at 1lb 14oz which will make it very portable for wherever you need to be. 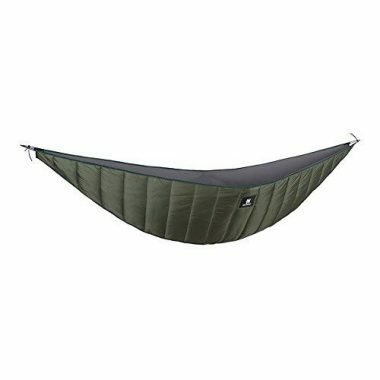 This is perfect for a hammock but will work well within a tent too. It has a durable ripstop nylon shell which will be able to resist any tears and it is able to compress down to a very small size. With a temperature rating of 40F, you’ll be able to sleep comfortably in most conditions. This is an ideal hiking quilt which comes with a unique shape so that it is able to give you plenty of room but still pack down to a very small size. It has down insulation and is able to keep you comfortable in temperatures down to 20F. It’s made from both polyester and nylon ripstop which will be able to give it durability and comfort. If you’re looking for an ultralight backpacking quilt then this could be the perfect product for you as it’s able to give you a great level of insulation while still being highly portable and light in weight. The quilt is durable and can even be machine washed so the product is very easy to use and to care for. A couple of size options are available so you are able to get the perfect fit for you. This is an ultralight quilt which will be able to easily be carried with you to wherever you need to go. The down trekking quilt compacts down to a small size but still remains comfortable when you are sleeping. It’s available in large or regular and is able to trap body heat in order to give you a warm and comfortable night of sleep. This is a quilt which has been designed to work perfectly with the pad underneath to be able to give you a warm and insulated sleep. That makes it extremely light and easy to carry so you are able to take it with you wherever you go. You are able to tie it tightly to your pad which works especially well on those colder nights to keep you warm. Mountain Hardwear are another company who have produced a highly compressible quilt which makes traveling very easy but it is also microfleece lined so that you are able to have that soft feel when you are sleeping. It’s lightweight and will be able to give you a warm night of sleep wherever you are. 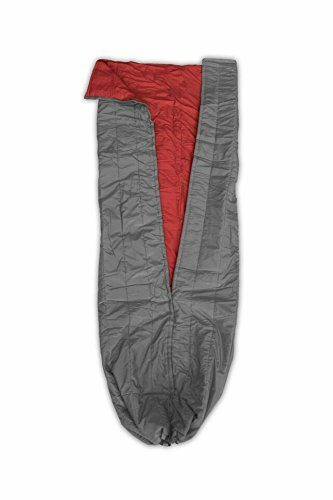 If you are looking for ultralight sleeping quilts then weight is clearly going to be a very important factor in your decision, all these products that we have featured generally only have around a pound difference between them but that weight can all add up with other items in your backpack. 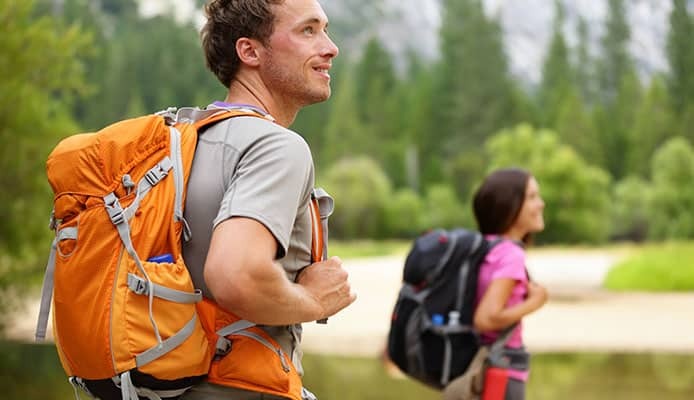 While weight is clearly important when you are backpacking, you also need to consider other aspects too such as comfort. You want to be able to find the right balance between quality, weight and comfort to get your perfect quilt. In terms of insulation then it’s a choice between a down backpacking quilt or synthetic. 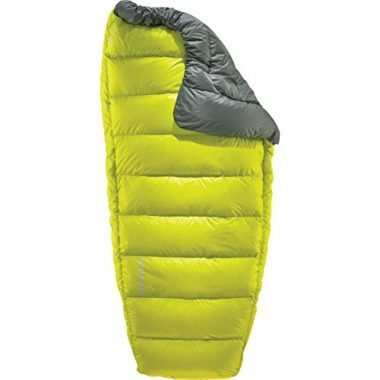 Down is going to be a better option as it is able to have more insulation for its weight and therefore it can be lighter than a synthetic quilt which has the same temperature rating. Synthetic quilts can be a good option though and looking at their weight and temperature rating is important to determine if it is suitable for you. Down also compresses better too but synthetic insulation has improved in this regard. In terms of fill power, the higher the better as that will be able to give you more insulation for its mass. These quilts will have a natural level of water resistance but most products won’t offer much in the way of extra resistance due to the type of products that they are and their requirement to be as light as possible. One good area to have waterproofing is if you have down insulation as it is a natural water absorbent but most down now is treated so that it is able to resist any water that might seep into the bag. This will allow your bag to dry quickly so you can sleep in comfort. It’s very important that these backpacking quilts are able to be folded down and compressed size in order for them to be easily stored away in your backpack. It would be inconvenient if you had a light quilt but it was bulky and hard to handle. Checking the dimensions for this packability then is important to ensure that you will be able to repack your bag time and time again. Having a small size will also enable you to have additional room in your bag so you can store something else useful. Camping and backpacking aren’t the most gentle of experiences so durability is always a key component, especially in a product like this where any damage could mean a loss of insulation and comfort when you are trying to sleep. Whether it be nylon or polyester, you want to make sure that your quilt has ripstop which is added to those materials to give it extra durability. This will help to make it tear resistant and be able to last you for much longer than regular materials. The size and shape of your bag are often going to be a personal preference depending on how you sleep and the amount of space that you want. It also matters if you are going to be sleeping on the ground or up on a hammock. The rectangle is the traditional shape of a sleeping bag and some quilts follow this while others have more of a mummy shape to them. There are other shapes too but it’s worth remembering that the less material they have, the less weight and more compression they’ll have. In terms of the outside and the inside of the quilt, they will be generally made from nylon and polyester which are both great materials which are heavily featured in the camping world. A higher denier rating will mean that the material is thicker and more durable. That added durability also adds weight though and having a denier rating of 20 is what most companies see as a good balance. If you wanted a more durable bag then look for a rating higher than this. In terms of sleeping in the cold, the lower the rating, the better it will be for you. The temperature rating refers to the lowest temperature where the quilt will still remain comfortable to sleep in, so it’s important to check. There is a temptation to get one with the lowest rating possible but this would be a bad idea in summer as you would overheat. One great feature of these quilts is that they can open up to give you more ventilation if you need it, but you should still get one which matches your conditions. A draft collar is often not featured on these products as it will be able to stop any raft getting in from where you have points of weakness, such as a zip. If the quilt you are looking for has zips then a draft collar would be a good feature to ensure that you don’t get cold. The foot box is one area in which backpacking quilts can vary quite differently in design and a lot of this comes down to personal preference. One common option is to have a drawstring at the bottom so that you are able to open it up if you needed more air. Some companies though allow you to lay your quilt out flat which can be ideal if you have a partner, while others will have it closed off to prevent any loss of heat, which is obviously going to be ideal if you are going to be in a colder climate. 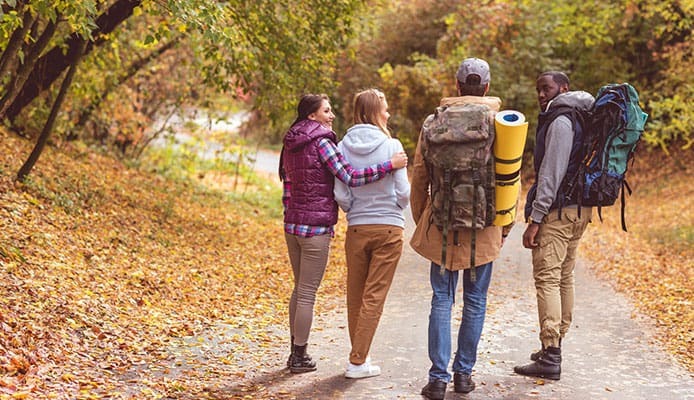 Before you set out on your backpacking adventure then you need to know exactly what your sleeping arrangements are going to be so you can pack appropriately. Some people are happy sleeping on the floor while others will be much happier with a camping pad. If you are going to be sleeping on a camping pad then you need to evaluate how that fits in with your quilt. There are quilt options available which can be tied directly to a camping pad so you are able to be insulated while having that comfortable pad to sleep on. Q: What Is A Quilt? A: A quilt is generally seen as a covering for a bed but in camping this will often be your whole sleeping solution. These types of quilts often don’t have a lot of insulation on the back when compared to sleeping bags though which makes them much more like a traditional sleeping solution. A quilt is able to give you the comfort and the insulation that you need but without having to worry too much about the weight or how you are going to transport it. Your quilt is simply there to be able to give you a good night of sleep. Q: Why Choose A Camping Or Backpacking Quilt? A: The requirements of simply just camping or backpacking are quite simple. If you are close to your car, for example, the with camping you are able to take almost anything that you want including thick sleeping bags to be able to have a high level of comfort. 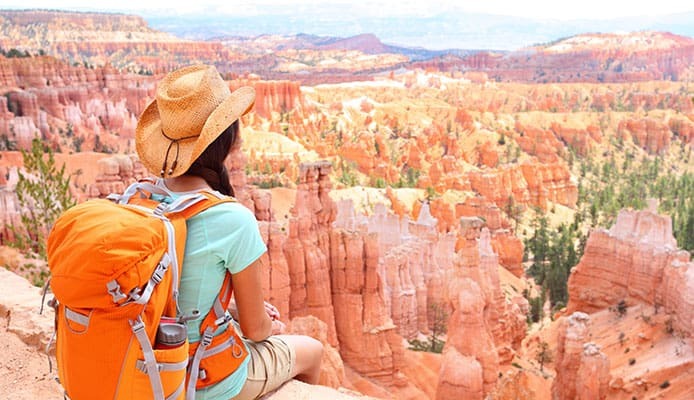 With backpacking though you unfortunately have to sacrifice some of that comfort so you are able to get everything that you need in your bag and also do it in a way that won’t way you down with items which are ultralight and easy to carry. This is why a backpacking quilt would be required as it will be very light in weight and portable. Q: How To Clean And Store A Backpacking Quilt? A: A backpacking quilt should be generally washed by hand if you have any little stains on them but sometimes it’s best to give them a thorough wash in order to clean them properly. Some of these quilts are machine washable which makes the whole process a lot easier. It’s always important to check the instructions though to ensure that you aren’t going to damage it. In terms of storage, it’s ideal for it to be in a cool, dry place and outside of its compression sack to ensure that it doesn’t get damp and the insulation can stay effective. Having a backpacking quilt can be a great alternative to a sleeping bag as even though they can be very comfortable, a sleeping bag will weigh more which can be inconvenient, especially if you are on long backpacking trips where weight is going to be essential. Getting the right quilt for your circumstances is important though and weight is going to be a key part of that. You will want to remain comfortable though by making sure that it’s going to have enough insulation for your needs and that’s why weight has to be balanced with the other key features that you can have. After that, you need to know that you’re going to be able to compress it down into a small enough size which is affected by the insulation type that you have. Down is going to be preferable but synthetic can compete well with its qualities. Once you know what essentials you’ll be needing, you’ll be able to see what else is important such as the ideal shape for you, the design of the foot box and whether you not you wanted to be able to attach a pad. Once you have settled on what you want then you will be able to place it in your backpack and set out on your adventure, knowing that you have got the perfect backpacking quilt. Hopefully this guide has been able to answer all of your questions so you are able to pick the best quilt for you.